In the beginning computer fans were just boring black units that were used to cool computer hardware. That was until case modders started modding them and manufacturers started mass producing fans with LEDs and other special features like fans with UV reactive paint. 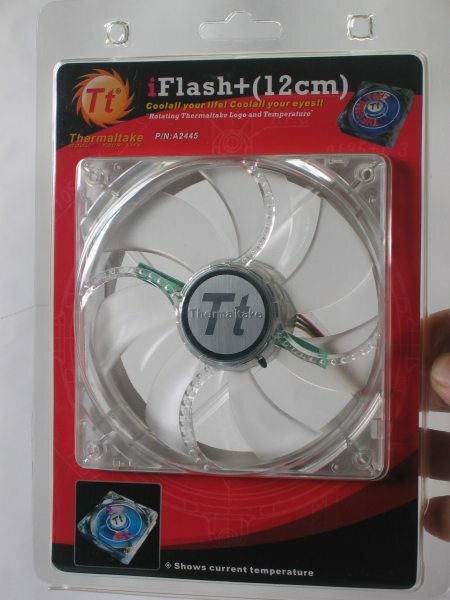 It's been a few years since we've seen any innovative new ideas to make fans fancier and prettier but now ThermalTake released the iFlash+ 120mm fan which definitely gives a new spin to fans. 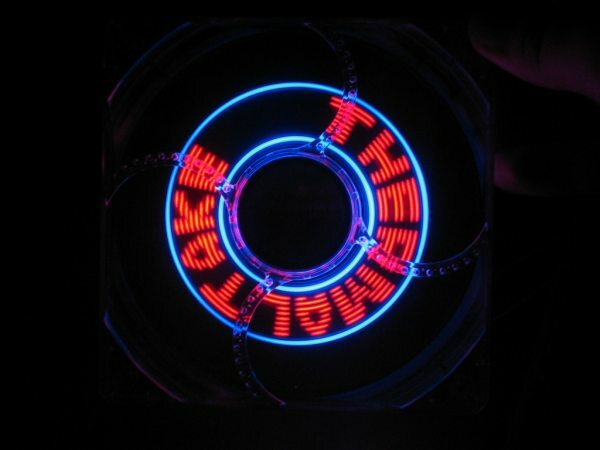 This isn't just an ordinary LED fan, no, this 120mm fan projects the temperature and shows a rotating and dancing "ThermalTake" logo. The fan arrives in this nice, easy to open package. According to these specifications the iFlash+ is relatively quiet with a max noise level of 25dBA but it's still capable of moving lots of air. This is the front of the fan. The iFlash+ has a 3-pin connector but fortunately the package also contains an extension cable which allows you to connect it to a regular 4-pin Molex connector. 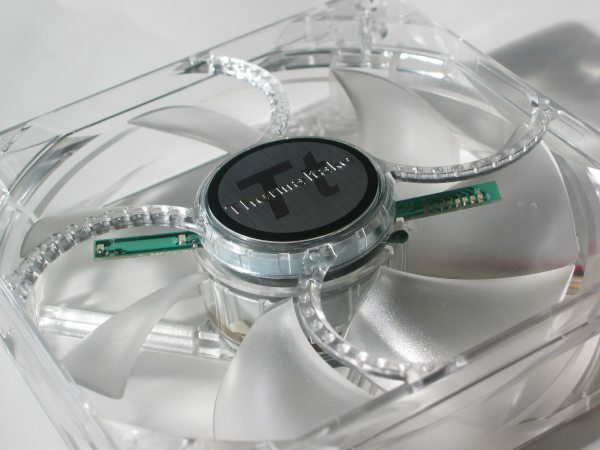 On top of the fan is a streamlined cover which displays the "ThermalTake" logo and the current environment temperature onto the spinning fan blades. 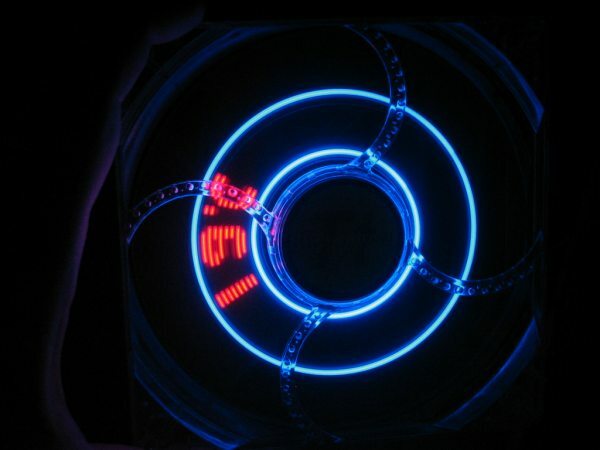 The design of this fan is completely different than regular LED fans. And this is the back which shows you ThermalTake used their TT-1225A fan for the 120mm iFlash+. 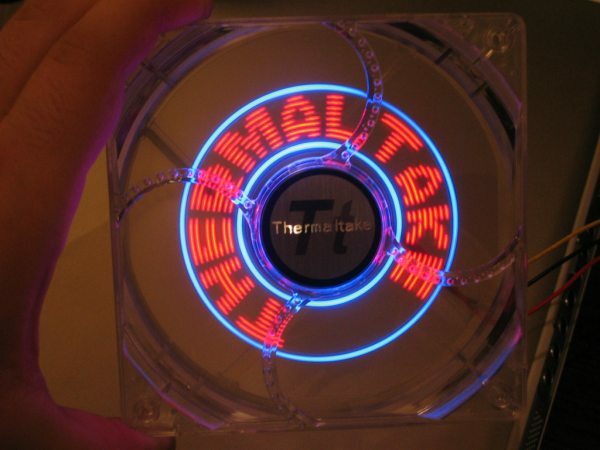 The front which features a shiny ThermalTake logo. The small green thingie is the temperature sensor. 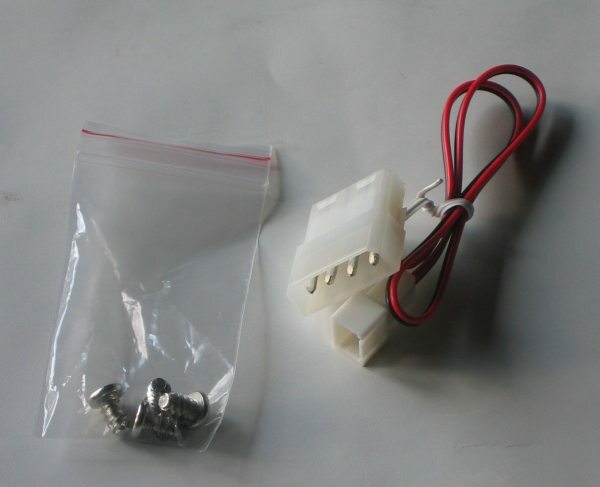 Besides the fan, the package also included a bag of fan screws and a 3 to 4-pin cable to connect the fan to a regular Molex connector. Now lets fire up this fan, shall we. I connected the fan to a Molex connector in my case and after a few seconds I saw two blue circles and the ThermalTake logo rotating on the fan blades, the temperature display follows a bit later. It certainly looks really impressive, even in daylight. Photos are nice but with fancy products like this video is even better, so here's a short 40 seconds clip showing you the lightshow of the iFlash+ fan. The only problem I noticed is that the thermal info displayed on the iFlash 12+ is only available in Celsius. 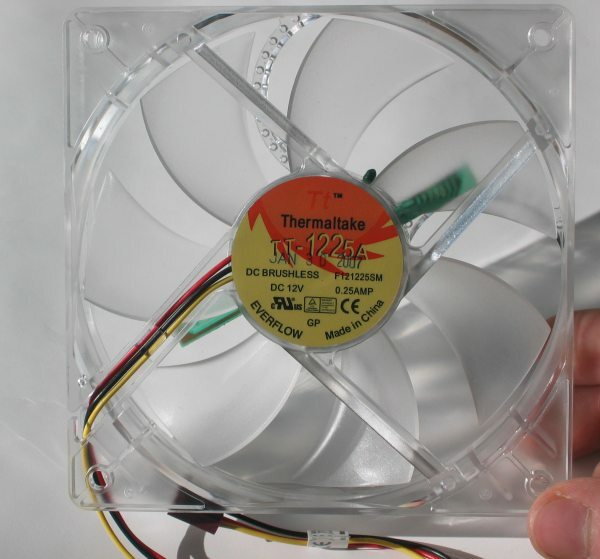 There's no switch to switch it to Fahrenheit and AFAIK ThermalTake doesn't ship a Fahrenheit-only version of this fan. For most people this won't really be a problem but for consumers living in the U.S. this will be a big problem as they are used to the Fahrenheit temperature scale. 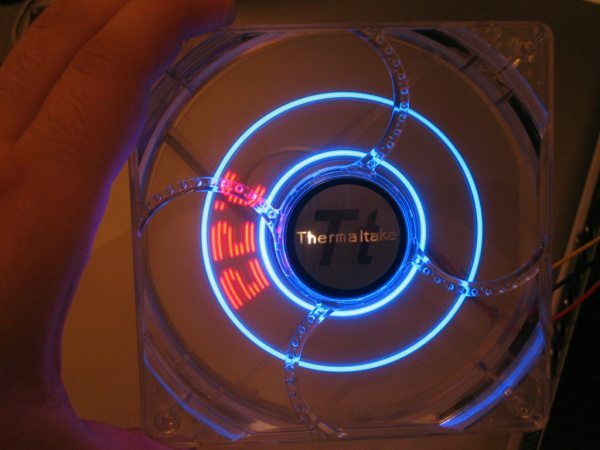 ThermalTake says they will take this into consideration for future products. 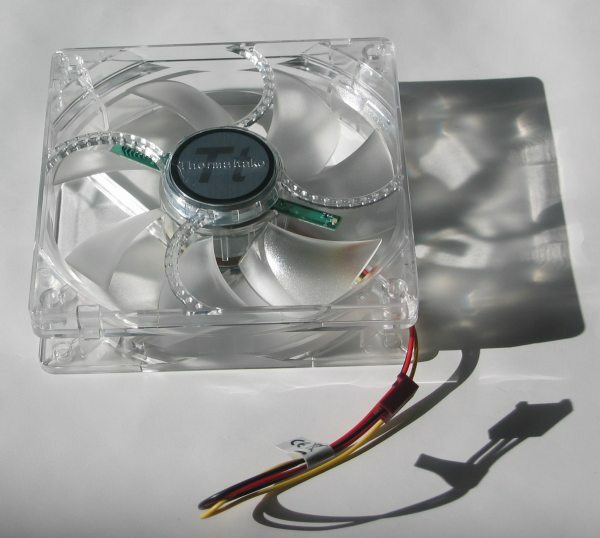 A few years ago we drooled over those shiny LED fans but nowadays they've become quite common. Today with ThermalTake's new iFlash+ you can drool again over your fans. The lightshow isn't only pretty but it's also quite useful because it shows you the temperature of the air that's leaving your case. Overall, ThermalTake managed to design a pretty slick new product. - No Fahrenheit, temperature display is only in Celsius. 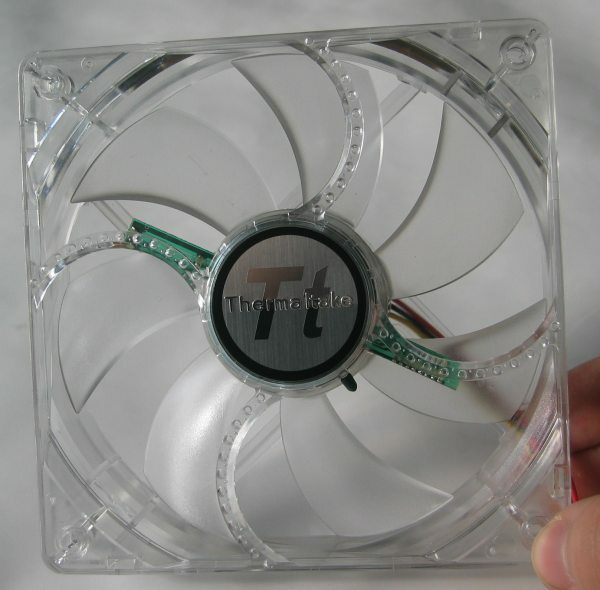 I give the ThermalTake iFlash+ 120mm fan a 9/10 and our Top Design award for its cool and innovative design and features. This needs a hack to put your own message on the fan. Boo to reviewers pandering for free product! 9/10, seriously?